Many still consider starting your own company to be a young man’s game but the great news for more experienced would be entrepreneurs is that not only are more older people starting their own businesses successfully, they’re doing it better than their younger counterparts. Here we take a look at why this might be, and what advice older entrepreneurs need to keep in mind. A fascinating study of 2.7 million startups by MIT recently revealed some pretty interesting findings about the ‘right’ age to start a business. They have found that older is usually better. Even among tech companies, an area you’d expect younger generations to have an advantage. The most successful businesses were actually founded by someone 45 or older. In addition, a 50 year old and 60 year old were, respectively, 2.8 and 3 times more likely to found a successful startup than their 25 or 30 year old counterparts. That’s really great news for older entrepreneurs but as anyone in this age bracket will attest, the stakes are a lot higher too. 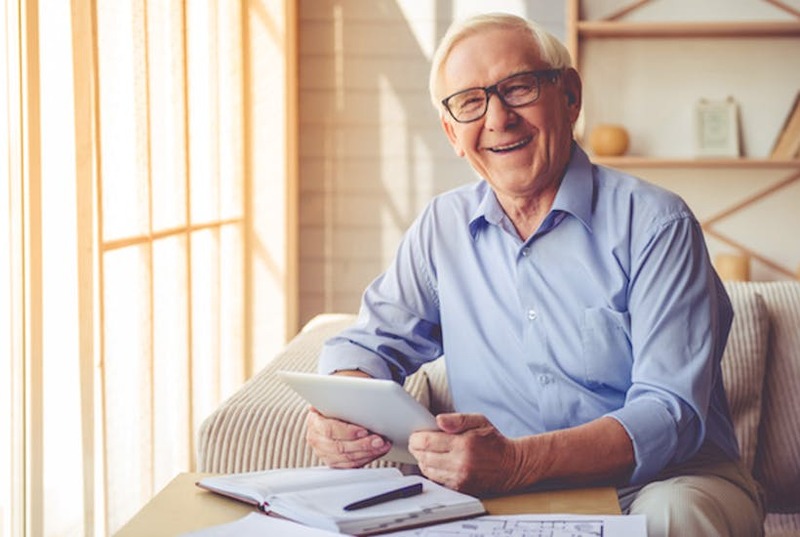 With retirement looming (eventually, at least) and a family to support, the pressure on older entrepreneurs is significant, and shouldn’t be underestimated. Going into a highly risky venture which could compromise your financial security should never be undertaken lightly but perhaps it is this more cautious and considered approach which gives older entrepreneurs an edge. Be mindful of your weaknesses, but don’t underestimate yourself! Knowing when to ask for help might be a character trait which comes with experience, but it’s not always easy. Drawing on your experience, expertise and years of accumulated knowledge and insight will all work in your favor but applying them in a modern context can present a challenge. And while it’s perfectly possible to learn how to build your own website, do your own digital marketing and SEO and manage your own social media profiles, for example, this might not be the best use of your time or skills. As your venture grows, build connections and surround yourself with quality yet affordable experts that you can use as and when you need them. Partnering with a freelancer who can do tweaks to your website, a remote IT services company who can come to your aid if something goes glitchy, or a marketing firm to help you out with online advertising can all be beneficial. On the other hand, don’t think you can’t tackle something on your own just because it appears a little technical. There is so much free information available online, and old dogs definitely can learn new tricks! If cash is tight, trust in your abilities and give it a go yourself. The web has revolutionized the way people decide on and make purchases. Word of mouth has been replaced (in a way) by online reviews and social suggestions, and many younger buyers are willing to pay more for a product or service if it aligns with their values or a cause they believe in. Just having the best product or service is no longer enough – as someone who has an inferior offering, but knows how to market it better, may well outperform you. The modern consumer also expects a level of transparency that older entrepreneurs might find a little baffling. People expect access to information about what goes on behind the scenes – which might not gel well with your own experience of how a company should be run. Being prepared and willing to adapt to a changing marketplace can be crucial. Another skill which comes with experience is patience and tenacity – and these can count in your favor – or against it. In the rapidly changing high-tech world of today, even the ‘youngsters’ can battle to keep up with the latest marketing strategies, social platforms and trends. Finding the balance between sticking to your guns and giving a strategy time to work and knowing when to ditch it and try something new, is tricky no matter what age you are. It’s times like these that you may have to listen to outside advice even when it clashes with your expectations about how you should run your business. One way to make this easier is keeping careful records and having a system in place which allows you to measure the success of each tactic you employ. Getting down to numbers so you can see which of your efforts are paying off best, and which may actually be costing you money, takes the guesswork out of the process. If you’re close to or even well over retirement age, doing what you love has never been more important. Finding a project that is rewarding in itself means it never feels like work – and if you get that right, you’ve already succeeded!